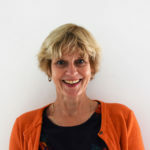 Dympna has a BA (University College Dublin) in Psychology and Philosophy, an MA in Psychology (Tavistock Institute London) and a Postgraduate Diploma in Systems Thinking, as well as professional training in psychoanalysis (Jungian). She has worked as an organisation development specialist in large organisations and has over twenty years’ experience of working as a consultant to top level executives in international public and private sector companies. Dympna is interested in mental wellbeing in its broadest sense, having trained and worked in therapeutic settings as well as applying her knowledge to the world of work and workplaces. She believes that the mind is our most powerful resource, and as such, determines much of our life experience. Helena joined Our Time in September 2018, in the role of development director, to promote, develop and expand the work of Our Time. 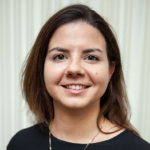 Helena previously worked in local government for several years as a project manager, coordinating a range of change and transformation projects and reviews of public services, undertaking the National Graduate Development Programme as part of her training. Helena joined Our Time as she was keen to make a direct, immediate and positive difference to children and young people’s lives, and to campaign for an issue that is close to her friends and family. 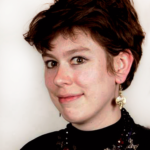 Helena has a BA and MA in European Social and Political Studies (with German) from University College London. Outside of Our Time, Helena runs a public speaking training company with two business partners, helping people of all ages and walks of life to build confidence and resilience. Christina started working with Our Time in 2016 to develop a brand awareness campaign called ‘Be Kids Again’. 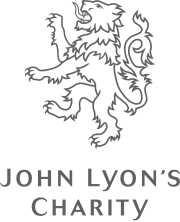 Since then she has been working with the charity to support their ongoing social media activity and in 2018, she took on the role of communications lead to further develop the brand’s communications strategy. She has previously worked as a digital project manager in the advertising industry, managing pan-European campaigns for many leading brands. She has also worked with the voluntary sector with a number of charities. She is passionate about the work Our Time does and aims to broaden its reach and ensure the children we help are seen and heard. Chloë is an experienced project manager with cross-sector expertise and knowledge, particularly in the field of digital marketing, communications and branding. 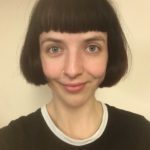 For over a decade, she has been working as a consultant and freelancer for a wide range of organisations throughout the UK, including Crisis, Shakespeare’s Globe, the Barbican, Hull York Medical School, Well North and Channel 4. 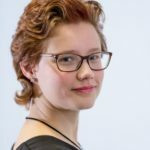 Chloë started working for Our Time in 2017, project managing the delivery of the new website. She loves a challenge and enjoys finding creative but pragmatic solutions to help Our Time advance their invaluable work. Angela joined our time in January 2019. She is a counsellor, mentor and workshop facilitator with a wholistic approach to life. She believes that every person has the potential to live a wholehearted and empowered life, beginning as a child. She is passionate about Our Time’s work as she herself experienced short-term mental illness as a young mother and saw first-hand how this impacted her partner and small children. She says that dealing with parental mental health in a positive and constructive way is a vital aspect to ensuring children are empowered, and enabling families to live healthy, cohesive lives. 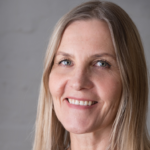 Angela also brings over 20 years’ experience providing business support services, as well as a wealth of experience in events and project management gained from living, working and travelling extensively around the world. 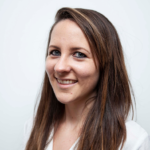 Sophie joined Our Time in January 2018 and brings four years’ experience working in management consulting, economic consulting and government with a focus on the public and third sector. Her clients included the Department for International Development; the Department for Business, Innovation and Skills; and small businesses. She brings a wealth of knowledge and experience to her role as finance manager. 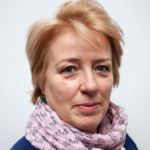 Louise is an independent consultant with over 30 years’ experience of helping clients throughout the public, voluntary, charity and private sector, to win funding and contracts. 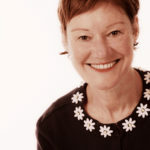 She has worked with many local and national charities and social enterprises, including those in the fields of health and care, education, employment and training, criminal justice, youth support, the arts and heritage, and disability to support them with planning, business development, bid writing, appraisal and fundraising. She brings a wealth of experience in adult education, local government and the charitable sector to Our Time. Jessica is a Queen’s Nurse. Her professional background and expertise is in child and adolescent public health – primarily nursing and lecturing. She is the Named Nurse for Looked After Children in Westminster, working for CLCH NHS Community Trust. Jessica’s school and public health nursing career has afforded her diverse opportunities including a recent secondment to Public Health England Chief Nursing Directorate as a school nurse advisor and a practice lecturer post at London South Bank University. Jessica has been struck by how often parental mental illness is at the root of many childhood problems. She has seen how Our Time concepts have made a real difference to families and has played a key part in establishing the ‘Who Cares?’ programme for the charity. Laura has been part of Our Time since January 2019. She is currently studying for an MSc Psychology, having completed her BA (Hons) Linguistics and Journalism at the University of Hertfordshire. She is primarily involved with Brent and Westminster KidsTime Workshops ensuring everything runs smoothly, and is the main point of contact between families and workshops. Laura has four years’ experience conducting Oral History interviews throughout the UK, covering topics such as immigration, refugees and retirement, featured in BBC Radio 4’s ‘Instant History – Starting Again’. In 2018 she received a Dean’s Award for ‘impact through charity or community work’. She is especially passionate about working with children and their families to break the stigma around parental mental distress. Laura feels that Our Time provides a unique opportunity for children and their families to cope with parental mental health and is very proud to be part of the team. Hemali joined in January 2019 as a coordinator, helping to run Our Time’s KidsTime Workshops. She has a background in business, graduating with a BA (Hons) degree in business. Having spent the first part of her career working in event management and administration, she is currently studying an MSc in Psychology at the University of Hertfordshire. She was drawn to Our Time because she herself had a father with a mental illness and substance misuse issues. 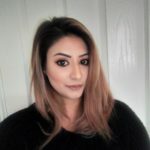 She is passionate about working with children and families and plans to study a research degree after completing her Masters, with an aim to research new intervention methods, policies, and programmes to support families who need help. Rosanna originally approached Our Time to volunteer, and she formally joined the team in January 2019. After completing a Masters in Gender, Media and Culture at London School of Economics, Rosanna worked at a number of youth-focused organisations including Girlguiding, The Mix, and Educating Girls of Rural China. She is heavily invested in the idea that the children of parents with mental health issues should have their voices heard.